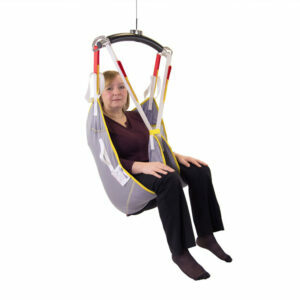 Slings are the most important component of any hoist system as they are the point of contact and interface between the client and the hoist. 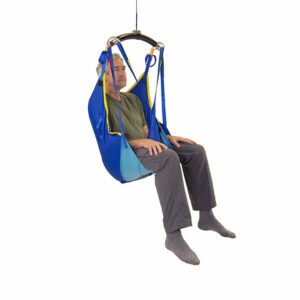 Whether used with a mobile hoist, ceiling hoist or gantry system, a well-fitted and comfortable sling plays a large role in improving quality of life for a user. Our comprehensive range allows comfortable moving and handling in a variety of designs, materials and safe working loads. 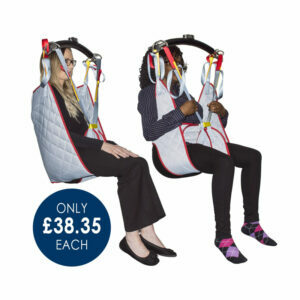 All of our slings are colour-coded to make positioning and connection to a hoist as simple as possible. All of our Prism, Freeway and Mackworth slings are manufactured in the UK, using British material to meet and exceed all relevant design, safety and quality standards. 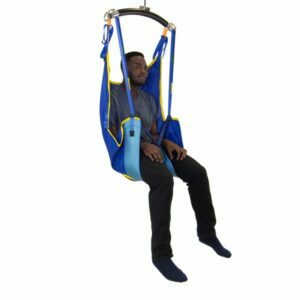 The comprehensive range offers a variety of designs to suit the client’s condition, the hoist, and the activity to be undertaken, as well as adult, paediatric, and economical solutions. We also offer a customisation service to provide bespoke in situ sling solutions for specialist needs. Our range of slings features unique colour-coded loops on all straps to ensure the sling is correctly positioned and fitted. They also feature embroidered labels identifying maximum patient weight, serial numbers for LOLER test compliance, and high temperature laundry safe labels for user guidance and traceability. Safety is at the core of our agenda. We use only the finest quality materials and utilise computer-controlled and reinforced sewing procedures with all of our designs; this ensures safety and peace of mind for carer and patient alike. 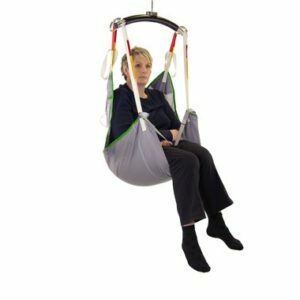 Our Prism and Freeway sling range is the result of many years of experience in the assessment of client needs and the input into the design by professionals and caregivers. We work in partnership with the University of Salford, Manchester to research the design of slings and the selection of sling materials. Mackworth slings are durable, supportive and comfortable, and are manufactured from strong, quality material, meeting the highest standards while offering an economical alternative to the Prism and Freeway range. 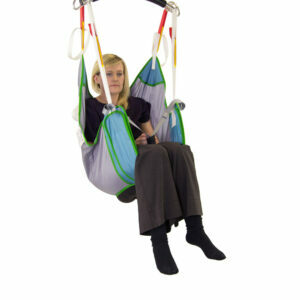 Our sling range is compatible with all of our hoists, and the majority of hoists supplied by other manufacturers. 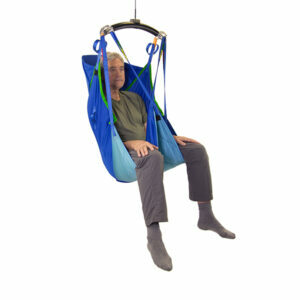 This range of alternative replacement slings is manufactured to our own exacting product specifications. They are not approved or endorsed by, or associated in any way with the parties whose slings they provide an alternative to. We also have a team of experienced assessors who can carry out a comprehensive sling assessment to determine the needs of the individual, including the selection of the type of sling, size and material best-suited to a client’s condition, and hoisting activity required. Contact us to find out more.